Kava Guatemala, Finca El Morito ima prijeten in zelo uravnotežen profil okusa. Okus kakava zaobkroži prijetna kislost jagodičevja, polno telo in dolg pookus. Coffee Guatemala, Finca El Morito natural has a pleasant and very balanced taste profile. Cocoa flavor enhances the pleasant acidity of berries, full body and long aftertaste. Kava na farmi raste od 1.400 do 2.350 m nad morsko gladino ob hladnejšem vremenu pri temperaturi od 7 C do 25 C in s povprečjem letnih padavin od 1.100 do 1.700 mm. Kmetija ima 477 hektarov zelo ohranjenega naravnega gozda s kavo, ki raste pod bori in cipresami in pašniki. Skoraj ves gozd je naravni gozd bor, cipres, Encino, pinabete, hrast, zope, guachipilin itd. Obiranje kave se začne v januarju in konča aprila. Mark our words – keep a close eye on this producer! José Roberto Monterroso produces coffees of truly mindblowing quality on his Rio Dorado and El Morito farms. This year alone, his coffees occupied 3 top 10 ranks in the Guatemalan Cup of Excellence selection! Finca El Morito was the first coffee farm that Jose Roberto Monterroso acquired. He bought the land in 1994. Back then, it represented only 7 hectares. They planted the traditional varieties like Bourbon, Catuai and Pache. As time went on, the family learned more about producing coffee and various possibilities. They saw the biggest growth potential in producing high-quality coffee. To achieve this, they planted a couple of exotic varieties at El Morito. These exotic coffees are the ones that have brought most fame to Finca El Morito in recent years. 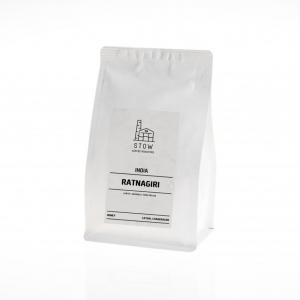 With their Geisha and Pacamara coffees, they please the most demanding specialty coffee tastebuds! Next to those exceptional microlots, they also produce high quality in slightly larger volumes. 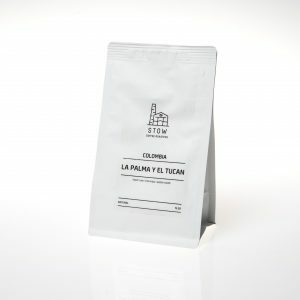 More accessible in terms of price and cup profile, this washed Pache from El Morito can be a powerful workhorse in your coffee shop. 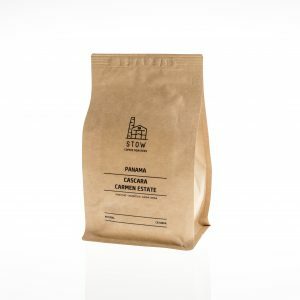 With its dense mouthfeel, high body and layered flavour profile with a balanced acidity, this coffee has all it takes to rule your espresso selection. Juicy fruits and chocolate!